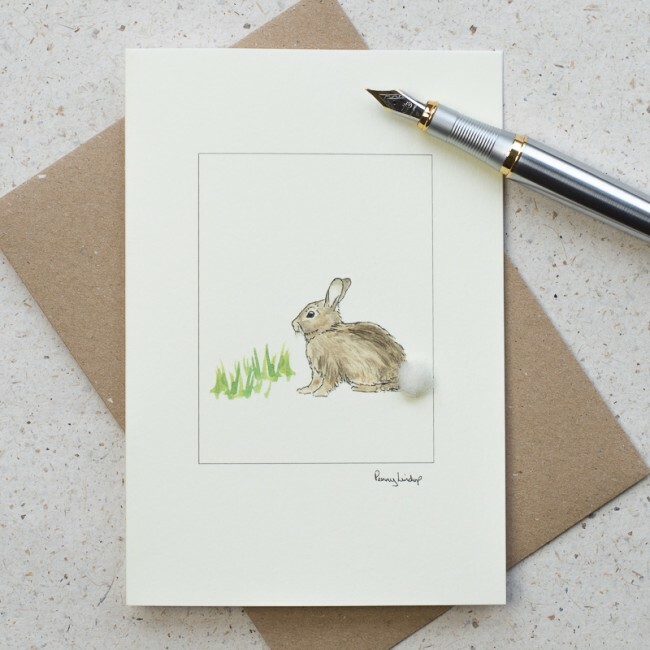 This rabbit card with a single rabbit in the grass is a beautiful handmade greeting card perfect for children. It is also a gorgeous Easter card. 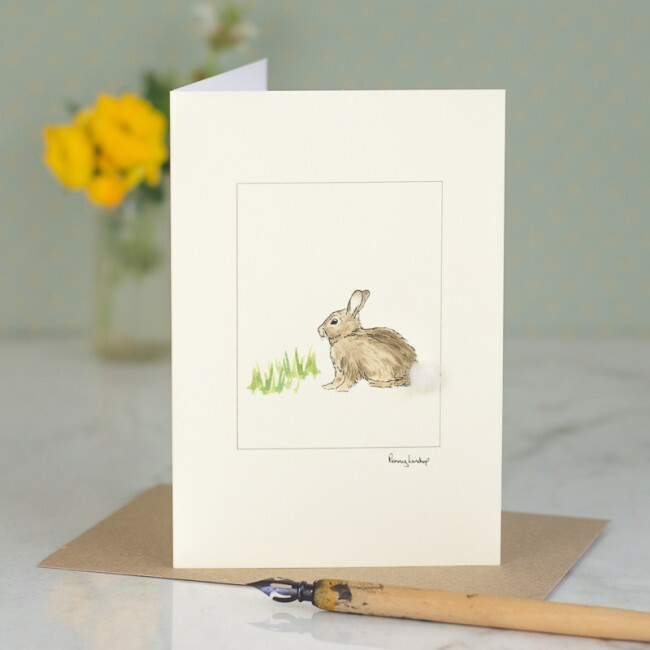 The rabbit has a fluffy woolly tail which will surely make you smile. 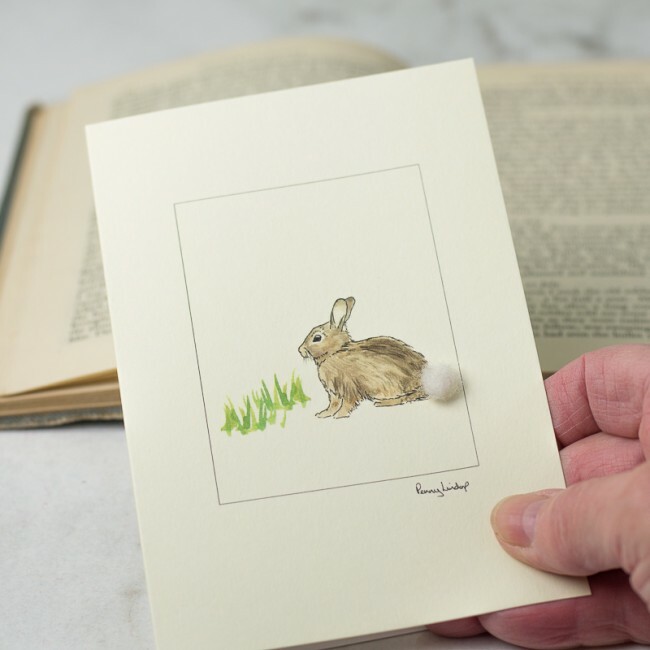 Printed from an original pen and watercolour sketch by Penny Lindop. The card is blank inside for your own message as we feel that a special card like this needs a special message inside, written by you. Supplied with a coloured envelope made from recycled paper. The card and envelope are supplied in a clear cellophane bag for protection. Please recycle this responsibly. Like all our cards, this is printed in the UK on a quality board which is lovely to write on. It is hand finished by our small team in our Norfolk studios.